Jane M. Kuhlman, 79, of Carey, passed away Sunday morning, January 20, 2019 at Good Shepherd Home in Fostoria. She was born on August 29, 1939 in Carey Ohio to Raymund and Dorothy (Pahl) Mathias and married her high school sweetheart, Frank H. Kuhlman on April 8, 1961 in St. Nicholas Catholic Church. Survivors include five daughters, Kelly (Greg) Scherger and Kristi (David) Cassidy both of New Riegel; Kim Kuhlman of Carey; Jill (Brian) Liskai of Bellevue; Dana (Kevin) Sendelbach of Tiffin; eight grandchildren, Justin (Chrystal) Liskai, Ty Liskai, Brooke Cassidy, Drew (Sarah) Cassidy, Abby Cassidy, Chad (Ashlynne Lane) Cassidy, Logan (Mary Ellen) Sendelbach and Garret Sendelbach, two great grandchildren, Grayson Liskai, Weston Cassidy a brother, Jim (Sam) Mathias of Alvada; sisters, Judy (Thomas) Liskai of Helena and Carol (Thomas) Hammer of Alvada. She was preceded in death by her parents, husband Frank of 55 years and an infant sister. 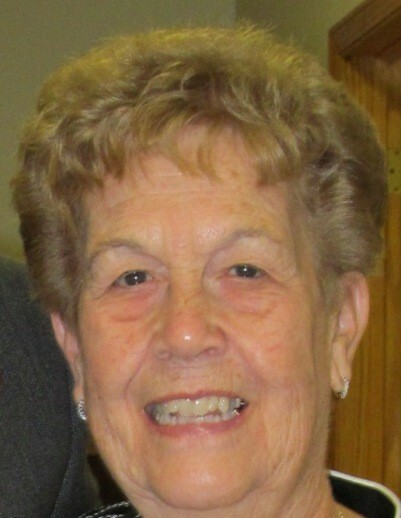 Jane was a member of All Saints Parish, New Riegel, former member of St. Nicholas Catholic Church, Frenchtown and graduated from New Riegel High School in 1957. She was an active member of the YMCA, enjoyed her flowers and gardening, casino trips, annual summer shopping trips with her girls, attending state basketball tournaments for years, watching her children and grandchildren play sports. Her Funeral Mass will be Thursday, January 24, 2019 at 10:30 AM at All Saints Parish, at the Frenchtown Chapel with Rev. Timothy Kummerer officiating. Burial will follow in St. Nicholas Catholic Cemetery. Friends may visit and share stories with the family on Wednesday, January 23, 2019 from 4-8 PM at Hoffmann-Gottfried-Mack Funeral Home & Crematory, 236 S. Washington St., Tiffin, 419-447-2424. Memorial contributions may be made to NBS Joint Fire District, the YMCA, or to the Teresa Kessler Scholarship Fund.